Saison is a Belgian style of beer that was originally developed to refresh farm hands during the late summer harvests. Today it is just a darn tasty beer that can be enjoyed anytime. Look for great brews like Saison DuPont from Belgium, Saison du Swamp from Swamp Head Brewing in Gainesville, Dragonglass Black Saison from Intuition Ale Works locally in Jacksonville, and the elusive Cucumber Saison from Cigar City Brewing in Tampa. Last year, on I Know Jax, we aired a segment on Saisons. We thought it would be fitting to the start of summer to give you the opportunity to watch it again. Please remember to tune in to CW17 on Saturday nights at 8:00 p.m. (if not pre-empted by Sharks football) and 12:00 midnight for new episodes and new Beer Guy segments! And do not forget to check out http://www.jaxbeerguy.com for access to the Jax Beer Guy blog, upcoming events, information on beer classes, and more I Know Jax video segments of the Beer Guy. The article, posted on Examiner.com yesterday goes on to say that several cities have already qualified. Unfortunately, Jacksonville is not among them. However, it is not too late. We can still get Jax on the ballot by voting through Saturday, May 4. The cites already nominated include: Ann Arbor, MI; Asheville, NC; Bend, OR; Chicago, IL; Cleveland, OH; Denver, CO; Durango, CO; Fort Collins, CO; Grand Rapids, MI; Kalamazoo, MI; Madison, WI; Milwaukee, WI; Missoula, MT; Philadelphia, PA; Phoenix-Tempe-Scottsdale, AZ; Portland, OR; Raleigh, NC; San Diego, CA; St. Louis, MO; Tampa, FL. This is our chance to rally and show the country that we have a vital beer scene here in Jacksonville. The implications of winning this contest run the gamut from increased national awareness of the quality brews we have here in town to increased tourism. Beer vacations are quickly becoming a popular activity. We can ensure that Jacksonville gets on the beer travel map by winning or showing well in this contest. , scroll down and click in the circle next to Jacksonville. Then scroll down and click submit. You may only vote once per IP address, so be sure to pass this link on to your friends on Facebook and Twitter. 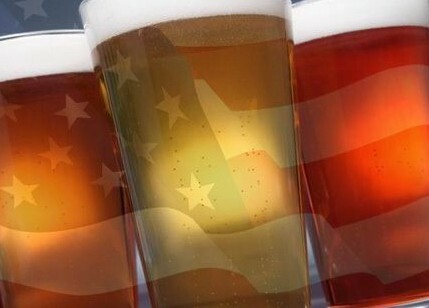 I will provide a running total of votes we have over the next few days on my Facebook (Springfield Brew Crew and Jax Beer Guy) and Twitter (sprbrewcrew and JaxBeerGuy) feeds. A few weeks ago “I Know Jax” ran an episode that looked back at as well as poked fun at the first year of the show’s existence. Here I have included the blooper reel of my segment. I hope you enjoy. There has been a recent uptick of interest in all things gnome. From the animated movie Gnomeo & Juliet to the photos circulating the Internet of zombified gnomes attacking helpless garden flamingos, gnomes are on a roll. 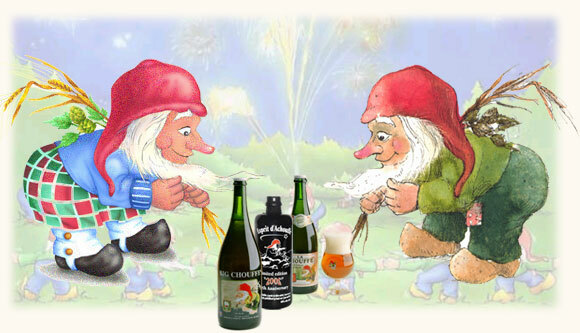 This week the hype comes to its pinnacle, June 6-9 is gnome week and the 6,666th anniversary of gnomes discovering the magic water that brews magical beers. And, there are a number of celebrations taking place throughout Jacksonville to commemorate the illustrious occasion. Gnomes are widely considered mystical spirits of magic and alchemy that were first mentioned in the 16th century by Swiss alchemist Paracelsus. He described them as just two spans high (about two feet), reluctant to interact with humans, and able to move through solid rock as easily as we m,ove through air. They are often associated with mines or underground streams. According to legend, a village of gnomes discovered that the waters of Cedrogne Spring in what would become Belgium had magical properties. It was said that the water could heal numerous ailments so the gnomes soon began using the water to brew beer. Naturally, that beer held on to the magical properties of the water. This week, come drink with Carolyn Graham of Brown Distributing, she will be hosting several events where there will be beer born of that ancient spring in Belgium from Brassiere d’Achouffe. The fun begins Wednesday and continues through Saturday. Engine 15 Brewing Company from 4:00 p.m. to 7:00 p.m.
Tastings of several brews from Brassiere d’Achouffe. Cork & Keg from 6:00 p.m. to 8:00 p.m.
More great brew to taste. Total Wine & More from 6:00 p.m. to 8:00 p.m.
Brassiere d’Achouffe poured by Marc Wisdom, Jacksonville Craft Beer Examiner and I Know Jax’s the Beer Guy. Gnome Gnights three-course dinner with beer pairings for just $30. Whole Foods from 2:00 p.m. to 5:00 p.m.
More samples and more fun! So, get out your pointy hats, groom your curly white beards, and come taste several of the brews from Brassiere d’Achouffe. You are sure to leave whistling a happy tune – or was that dwarves who did that?